April 25 is a public holiday in the Democratic People's Republic of Korea (North Korea) called Korean People's Army Foundation Day or Military Foundation Day. Originally it was celebrated on February 8, but Kim Il-sung changed the date in 1971. 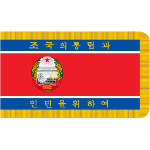 The Korean People's Army (KPA) in its current form was officially founded on February 8, 1948. It was created with the help of the Soviet Union. Thus Military Foundation Day was originally celebrated on February 8. Kin Il-sung changed the date in order to obscure its Soviet origin. April 25, 1932, is the nominal day of creation of anti-Japanese guerrilla army in Korea. The KPA consists of the following branches: the Ground Force, the Air Force, the Navy, the Special Operation Force, and the Strategic Rocket Forces. As of 2013, it is the largest military organization on the planet with 1,190,000 active personnel, 5,889,000 paramilitary personnel and 600,000 reserve personnel. The DPRK has universal conscription for men and selective conscription for women, conscription age is 17. Mandatory service ranges between 3 and 5 years. The soldiers are mostly armed with locally produced rifles based on the design of the Russian Kalashnikov rifles.